Today’s post is a Hero Kit Review! 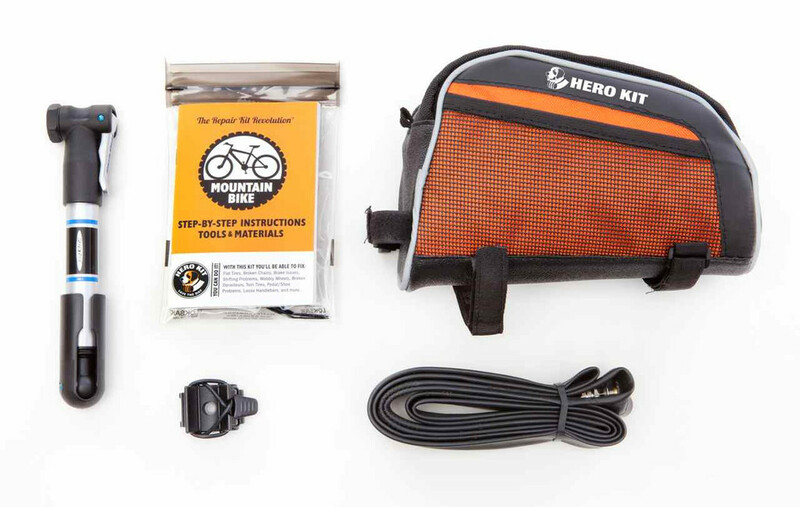 The Hero Kit is an all in one bicycling kit. There are several different kits, but the one I’m reviewing today is the Mountain Biking Hero Kit. In full disclosure, Hero Kit reached out to me to see if I was interested in trying out their product. They initially were going to send me a road cycling kit, but I mentioned I was going mountain biking and always have more concerns about getting in a jam out in the wild. When you are road biking, you are often in a situation where someone can come pick you up. Not so when you are out on the trail! Add in a knife and you are good to go! This retails for about $40, which is pretty fair. I priced out all the parts seperately (using Performance Bike and BikeParts.com as price guides) and again, it’s a fair deal. You save a few dollars and you gain in convenience. Also, I will mention that all the parts are extremely high quality. I often see corners skimped and a tire level will be super chintzy or the booklet will turn to mush if it comes near water. Not so. This thing is HEFTY and durable. 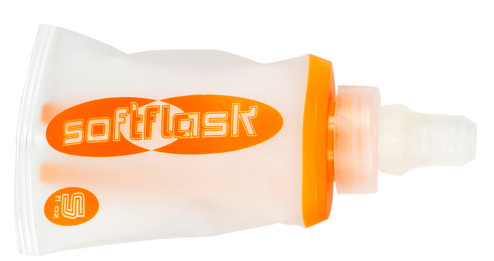 It is also perfectly sized to fit in a rear jersey pocket or in an under-seat bike bag. Very convenient. This would make an adorable stocking stuffer for a beloved cyclist in your family. Not only is it a great gift idea, it can buy you some more peace of mind knowing they have all the right tools to get back home in the kit. Hero Kit also has revved up version of their Mountain Biking kit (aptly named the SUPER Hero Mountain Biking kit) to include all the mentioned above, plus a pump, extra tube, a cool under-the-seat bike bag to put it all in and a few other good to haves. The Super Hero kit is less stocking stuff, though, and more ‘main present’, as it retails for about $75 and has a LOT more stuff. When breaking out the costs of all the items together, though, it’s definitely still a good deal. The SUPER extras that you get if you upgrade to the Super Hero Mountain Biking Kit! The difference between the Hero road biking kit and mountain biking kit is that it has an emergency rain poncho and a different type of tire patch, and does not have the gear cable. 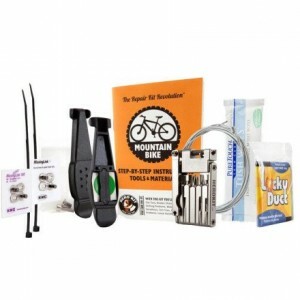 The road kit also comes in a Super Hero Road Biking Kit version as well. You can learn more about Hero Kit and their vast range of other kits at their site, HeroKit.com. November 26, 2013 in gear, reviews, safety, tools.